Summers here which means more time out and about with the kids – hurray! But as any parent know going out and about with kids isn’t quite always as easy as you’d hope for. These parenting hacks for trips to the park are all tried and tested ways to make your life that little bit easier so that you can really enjoy this summer. Got a great tip? Make sure you add it to the comments at the end! Some parks can get crazy busy – these DIY phone number bracelets from Parenting Chaos are a fantastic idea. Make a summer go-bag like this one from Love and Marriage so that you’re always ready to go out. Follow The Girl Inspired’s instructions and freeze Capri Sun’s to make slushies – much cheaper than getting tapped up for the ice cream van! In The Playroom shares loads of parenting hacks but I love this idea for using cupcake cases with ice lollies! Eating at the park? Clean and Scentsible shares how to make an awesome kids lunchbox from a bead organiser. Heading out after the rain? This tip is your answer to making life a lot easier! 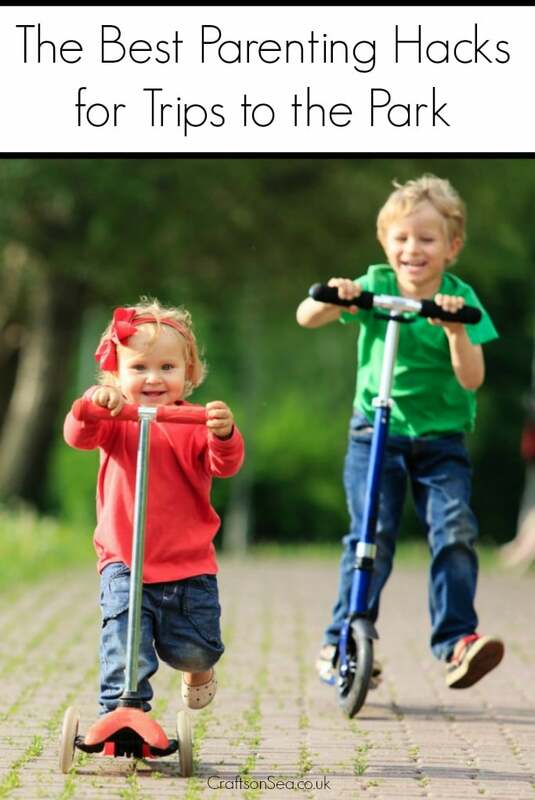 Need to get your kids attention in the park and don’t want to yell? This tip from Kara Carrero is brilliant! Temper tantrums at the park? Especially when you’re going to leave? Try this trick from Beauty Through Imperfection. Freeze some water bottles to take in your picnic bag – use them instead of ice blocks to keep your food cool and you get nice cold drinks! Is there a sand pit at the park? You need this hack from Mum In The Madhouse! 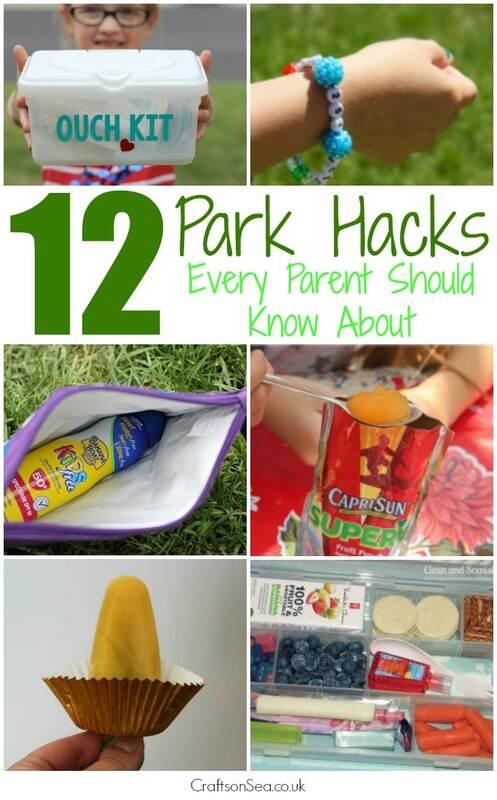 What a fab selection of hacks, should make going to the park a lot more fun. I especially like the idea of a family whistle, it’s a shame I can’t whistle. Now the weather is getting nicer and the evenings lighter these are really good tips as we go more now to the park.